Are we really ready for the return of the skinny brow? 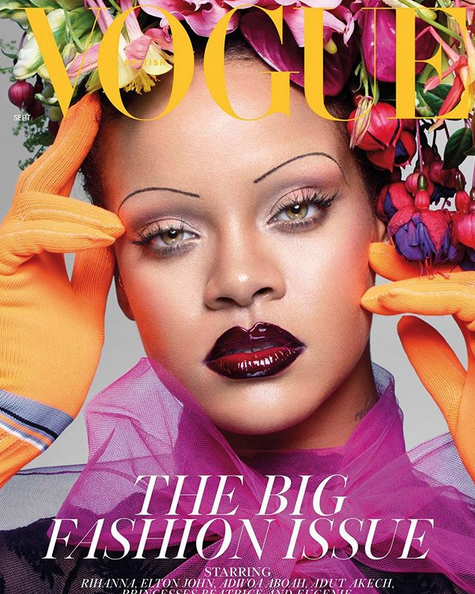 Thanks to that Vogue cover featuring sass queen Rihanna, it seems that we could be heading towards a micro-brow revival. Granted, they looked epic on Rih Rih, but what about us mere mortals? Before you reach for the tweezers, make your brows look thinner with one-stroke brushing using SOAP BROWS, £12. And if you’re feeling very brave, camouflage excess hair with a concealer and then define the remaining brow with GEORGE Tamer Brow Dip in Dark, £3.